seeing as i do alot of downwind sailing i have decided to leave it be but get it aerodynamicly shaped like a wing for upwind sailing then swivil my head to go downwind! lifes to short to sail slow boats! You might end up sailing in circles ... You'd be "720 forever"
Is it true that men and women can just be good friends? Can they really be friends??? 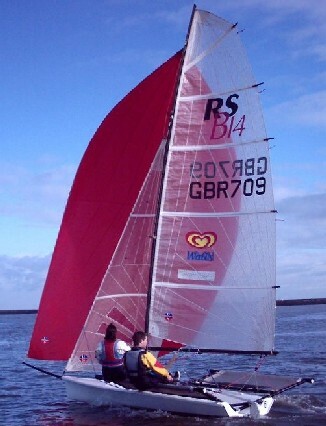 I really need a job ASAP so I can afford to keep sailing this year, please help, (failing that can I have the next set of winning lottery numbers). In Dave's absence, I'd say it is true but don't expect anything else and if you've put yourself into an akward situation you have to try and put it firmly behind you. Mind you it all changes with alcohol, so be warned!!!! Well welcome to the real world. All that time studying and no job! But you are in luck. I need a new apprentice. The current one is worn out and the employment tribunal are taking his side. when he gets back from his unpaid holiday next week I will sack him. You can then have his job. £125-00 a week. However once you get a job you will not have enough time to go sailing. Get a bar job. You only have to work nights so the days are free. You can give the fit birds a few free vodkas and cokes so your love life will improve. Plus you can down a few yourself.